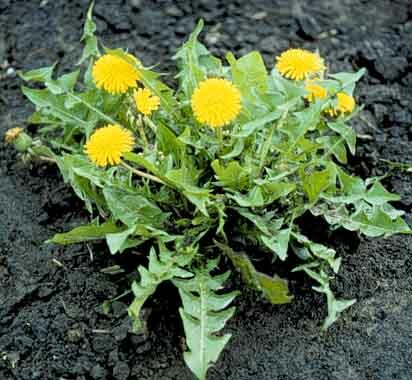 At this time of year the Dandelions are peeking up through the ground, gearing up for a spring time explosion. Early spring is the optimum time for harvesting the root as they are at their most bitter. Like us, the plant uses up its sweetness over winter. BEITH, MARY, 2011. Healing Threads – Traditional Medicines of the Highlands and Islands. Edinburgh: Birnlinn Ltd.
CULPEPER, N, 2002. Culpeper’s Colour Herbal. England: Foulsham& Co Ltd.
MABEY, R, 1988. The Complete New Herbal.Great Britain: Penguin Books. MCINTYRE, A, 2010.The Complete Herbal Tutor. London: Gaia. WOOD, M, 1997.The Book of Herbal Wisdom.California: North Atlantic Books. WOOD, M, 2004.The Practice of Traditional Herbal Medicine.California: North Atlantic Books. : North Atlantic Books. SOWING * MOWING * GLOWING! Time to shake off the winter dust & clean up for spring! By now you’ve probably put away your reindeer jumper and are thirsty for the warmer, lighter times to come. The good news is that you don’t have to be in exotic locations to get a dose of sun and nature. Make the most of the light time we have here by getting out into the garden. Gardening satisfies many of our health and well being needs; sunlight on the skin, exercise in the fresh air and quiet time in nature. While we work away in the garden we are subtly aware of the elements and may even make new friends with worms, bluetits and squirrels! This experience nourishes us in a gentle yet profound way. Growing our own food – be it a tomato plant on a windowsill or an allotment packed with vegetables – reminds us of the energy and life force that go into what we eat. In return for our efforts we get food that is full of vitality, as fresh as can be and, best of all, tastes fantastic! This is the time to start sowing your seeds! •For a deeper cleansing and healing effect try a fasting programme e.g. a fresh fruit juice fast. Caffeine and alcohol are irritants to the urinary tract and excess protein (over 6-8g per day) causes the kidneys to work hard to eliminate them. Excess salt, drugs, environmental pollutants and insufficient fluids are also major stresses for the body. Fasting gives the body a break from dealing with processing toxic substances and allows time for healing and renewal. Aromatherapy massage makes use of essential oils; concentrated extracts from plants which have been used for their healing and fragrant properties for centuries. These properties are what makes aromatherapy massage so special. Lavender oil has been proven to stimulate the immune system and increase white blood cell production, while Grapefruit, Lemon, Rosemary and Fennel are excellent cleansing, uplifting and immune boosting oils. During a treatment essential oils are absorbed into the bloodstream enhancing cell renewal, circulation and detoxification. Blood and lymph circulation and the clearing of waste products are enhanced, as is the process of cellular renewal. Treatments also relax the muscles, relieving tension and stress and creating a sense of well being in body and mind. During April and May I’m offering a special 90 minute cleansing aromatherapy massage and wellness consultation to help you on your spring way! The hot stones will also be back in the yurt in May for a deeply relaxing, purifying massage experience. Tension in body and mind melt away whilst the warmth from the stones aids the removal of waste products and promotes vitality.